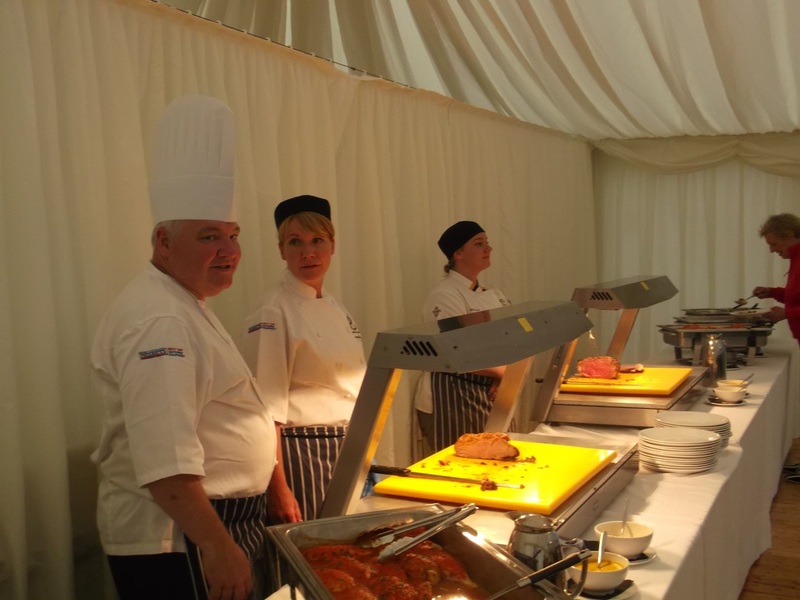 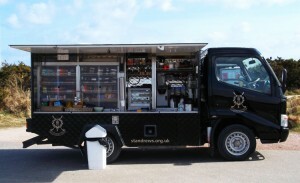 The event involved a lot of preparation and hard work from the St Andrews Links F&B Department but it was a great success and was enjoyed by all. 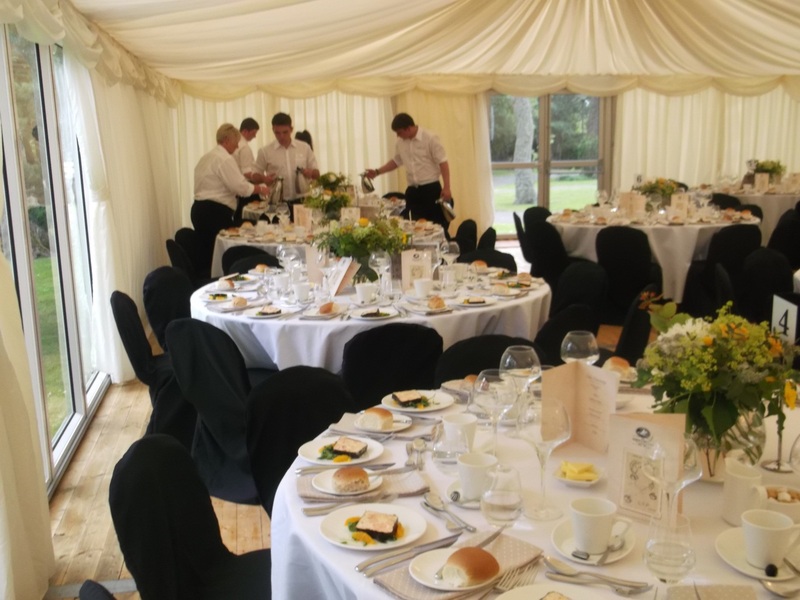 The Eden Course celebrated its 100th birthday last week and as part of the celebrations we hosted an Eden Centenary Dinner. 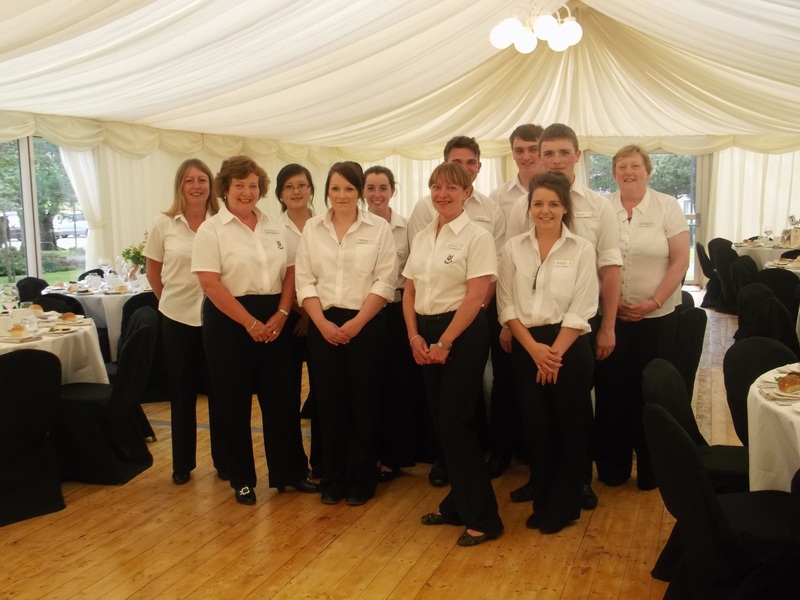 A marquee was erected beside the Eden Clubhouse and we catered for over 100 guests. The event involved a lot of preparation and hard work from the St Andrews Links F&B team but it was a great success and was enjoyed by all. Here on the blog we like to give you a sneak peek behind the scenes so here it is! 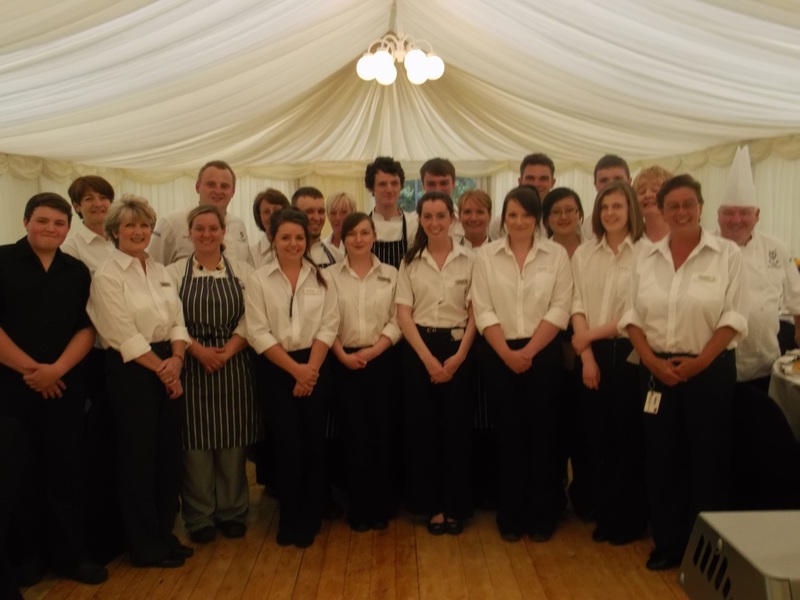 The ingredients for the perfect dinner: a full and dedicated staff! 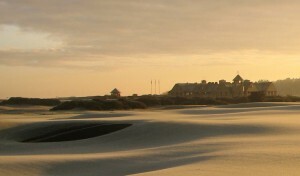 Employees from across the Links helped out with preparations for the big event. Laying tables and filling glasses. 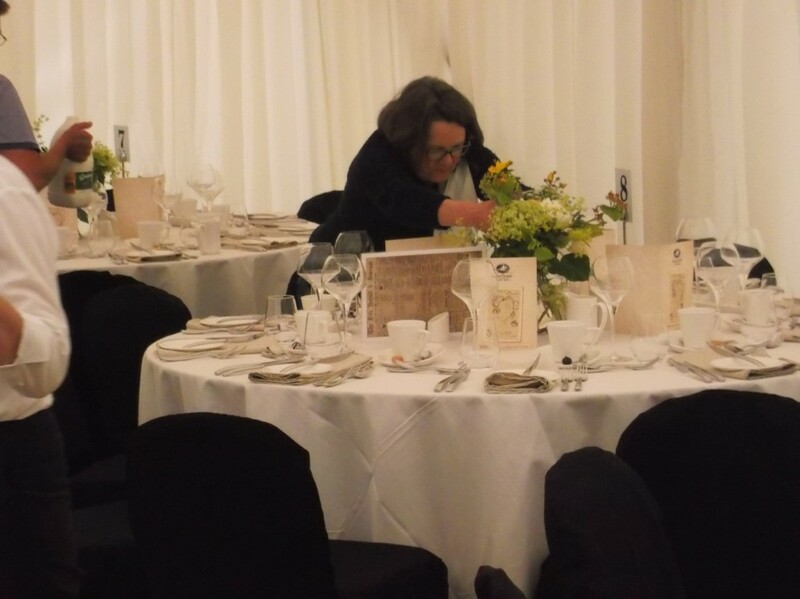 We even brought in bespoke florist, Pamela to ensure our tables were looking beautiful. 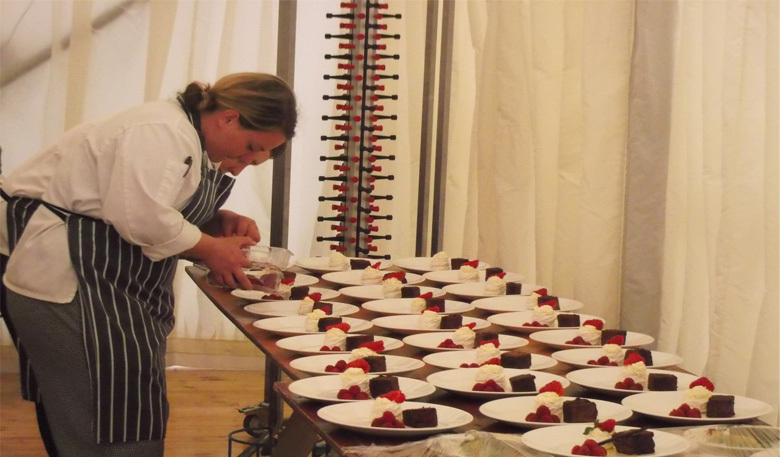 The mouth watering menu was prepared fresh on the day. 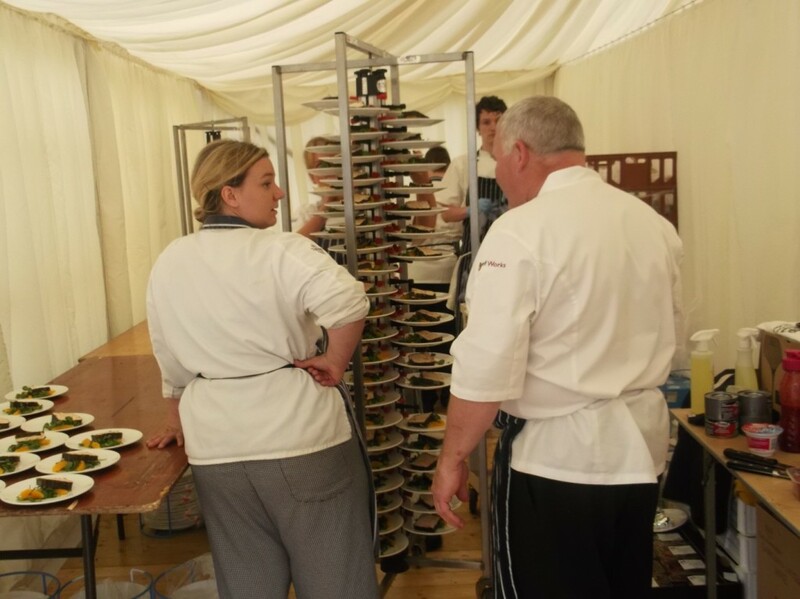 And was created by our world class chefs, lead by Ian MacDonald and Sharon Munro pictured below. 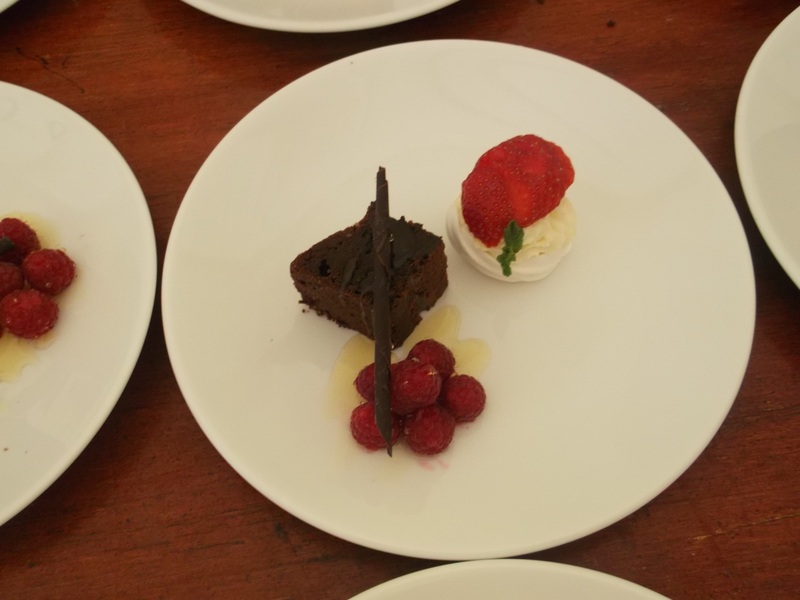 The dessert was to die for and was a particular favourite among guests. 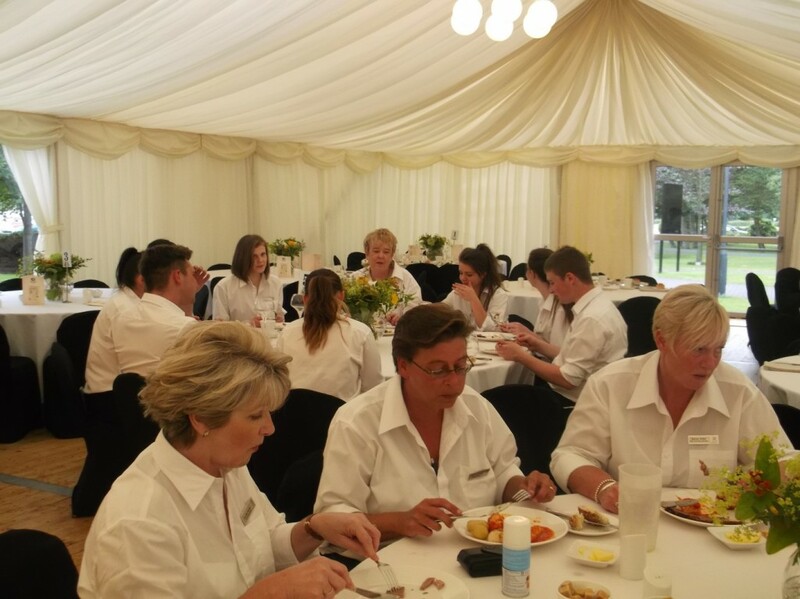 Staff were able to unwind and sample the delightful menu at the end of a busy service. We loved hosting the event and felt privileged to be part of the Centenary celebrations. 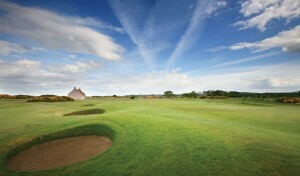 Happy birthday to the Eden Course and here’s to the next 100 years!